Research led by scientists from the University of Luxembourg has shown the potential of liquid crystal shells as enabling material for a vast array of future applications, ranging from autonomous driving to anti-counterfeiting technology and a new class of sensors. Liquid Crystals, already widely used in flat-screen TVs, are materials that are in a state between solid and liquid. Prof Jan Lagerwall and his team at the Physics and Materials Science Research Unit (PHYMS) at the University of Luxembourg have been investigating the unique mechanical and optical properties of microscopic shells that are produced of liquid crystal for several years. Now, in a multidisciplinary collaboration with IT scientists Dr. Gabriele Lenzini and Prof Peter Ryan of the University's Interdisciplinary Center for Security and Trust (SnT) as well as Mathew Schwartz, Assistant Professor at the New Jersey Institute of Technology, they published a report in the scientific journal Advanced Materials describing potentially groundbreaking future applications for the material. Liquid Crystal shells, only fractions of a millimeter in size so they can easily be applied to surfaces, have several unique properties that could be utilized in engineering: As they reflect light highly selectively, they can be arranged into patterns that are readable for machines, akin to a QR code, adding coded information to objects. "These patterns could be used to guide autonomous vehicles or to instruct robots when handling workpieces in a factory. This could become important especially in indoors applications where GPS devices don't work," Prof Lagerwall explains. The shells can be manufactured to reflect only certain wavelengths of light, such as infrared, that would be invisible to the human eye. As the Liquid Crystal shells reflect light "omnidirectionally" meaning that beholders see the same pattern regardless of their position and viewing angle, the patterns can even be read by moving objects. Additionally, the shells can be manufactured in a way that they change their structure when they are exposed to certain external impacts, such as pressure, heat or specific chemicals. Together with computers to interpret these changes, the shells could be used as sensors, for example as pressure sensors in the fingertips of robots enabling tactile feeling which is currently hard to achieve in robotic engineering. Another application could be fire exit signage on walls inside buildings that only becomes visible when the temperature exceeds a certain threshold. The big advantage of these sensors is that they passively react to external impacts and don't need electricity and batteries. Finally, liquid crystal shells could be used to prevent counterfeiting. The micropatterns that emerge when the shells are brought together are unique and impossible to copy. 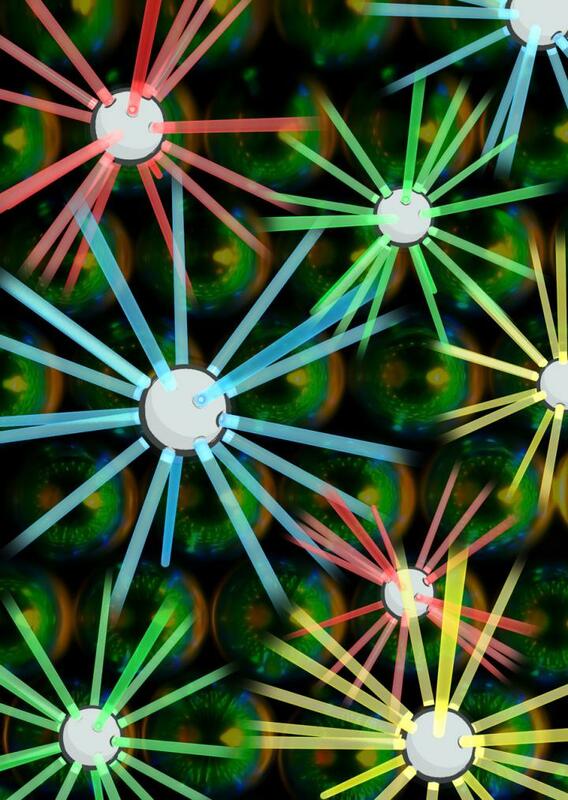 These unclonable patterns could be used to create uncopiable identifiers that can be attached to valuable objects, such as art works or expensive pharmaceuticals. In combination with cryptographic tools they could be used to create a system that ensures that a buyer or user has the original and not a counterfeited product. Prof Lagerwall makes clear that the ideas outlined in the report require further research. "Our hope is that the article can stimulate future research on liquid crystalline materials into new directions that are in line with the current societal developments," he said.